Really impressed with your service, I managed to ask a few questions over the phone before placing my order and then the Scenic struts came the next day. A few weeks ago I enquired about a couple of rear gas struts for my Renault Grand Scenic and you were kind enough to get back to me very promptly with a price and the information I needed to place an order. I just wanted to thank you, as SGS were very pleasant to work with when I ordered the gas struts, which arrived very promptly as promised. The props were great, took about ten minutes to fit and were a fraction of the cost of the Renault parts. It's nice to have a positive experience with a supplier who is very professional in the way they go about their business, and in the event, however unlikely, that someone I know needs a couple of struts, please be sure I'll be very happy to recommend you. Thank you very much the Megane Grand Scenic tailgate struts were very easy to fit a brilliant price and quick delivery. Received the Grand Scenic gas struts this morning thank you for a very prompt service first class. The Renault Scenic’s big brother, the Grand Scenic is the epitome of practicality and flexibility. It has a longer wheelbase and rear overhang than the Scenic; two small child-sizes seats are provided in the luggage area. Unapologetically conservative, the Grand Scenic is equally family-friendly when you hit the road, offering a quiet and comfortable ride. Here at SGS Engineering, we stock Renault Grand Scenic gas struts for models manufactured from 2004 – 2009, and our range includes both Renault Grand Scenic boot struts and Renault Grand Scenic tailgate struts. Our team has a wealth of engineering experience, so when you buy your Renault Grand Scenic gas struts from us, you know you’re getting car parts of the highest quality. You’ll also benefit from a two year extended warranty when you shop with us for your Renault Grand Scenic boot struts and Renault Grand Scenic tailgate struts. 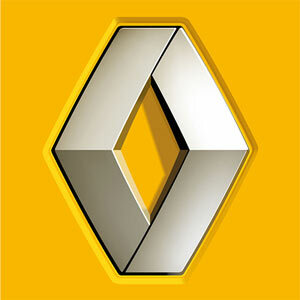 Browse our Renault Grand Scenic gas struts today.